Be care what you wish for, because you just might get it. Willow should have taken heed of that familiar warning, because she wanted Dane’s attention and then got it. She wasn’t ready. On assignment protecting a paranoid client at a convention, Dane Karl has finally found his mate, a very young sidhe ill-equipped to deal with a legendary mercenary warrior, fierce weretiger, and powerful sidhe all wrapped up in one big, badass package. His plan for a slow courtship ruined by the catastrophe that destroys the conference hotel, he claims Willow as his mate to keep her safe from the demons hunting sidhe flesh and sidhe magic. Willow must find her strength to stand up to her legendary husband’s overbearing ways, deal with the shade of his long dead, sidhe wife, and survive the demons after them. Can an ancient warrior learn to love? Can a young, untried sidhe find her strength? This is the third and final book of the Tree of Life trilogy. 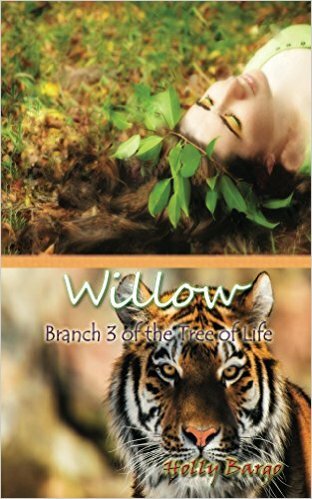 Willow is a young sidhe who was determined to branch out on her own from her very sheltered parents and her village. Of all places for her to work, she works for the National American Vampire Association. But sidhe blood is poison to vampires. She’s a pure white sidhe, a healing sidhe and runs across a fallen woman. It’s her nature to heal. She realized she’s healed the famous bain sidhe, Rowan Nemad. Rowan gives her a parting piece of friendly advice of locking down her glamour tighter because there are many things hunting sidhe and would claim her against her will. They chatted through some of the conference and Willow’s eyes fall on the famed bodyguard Dane Karl. And for some reason, he asks her for coffee. She’s very intimidated by the weretiger, as much as he’s trying to put her at ease. He recognizes her as his soulmate and knows that he has to court her. He can’t claim her against her will. When he was younger, he made that mistake and it didn’t work for her. His plans are cut short when the vampires challenge Rowan’s matebond and Roman and her mates fight and destroy most of the conference area of the hotel. Dane grabs Willow and they flee for safety as he sensed a demon in the midst, knowing that if a demon gets a hold of her he will never get her back. He does claim her in the hotel and hastily explain to her that they have to run and he must take her to his home in Wyoming. She bristles to his commands and wants to be treated as an equal, even though he has quite a few hundred years on just her 20-something. She has to find a way to balance their relationship and not lose herself and make him understand that she understand she needs to protect him but she has to feel useful as well. And there is also the problem with the shade of this long dead wife that seems to get stronger the more discontent that Willow feels and Alane is trying to convince Willow to break the matebond and regain her freedom. Willow has too many choices and not enough life experience to handle them. She has to process them once at a time, without getting killed by demons of course. Rowan as just trying to live her life! She owes her own business and Star dust set design is doing well. She loves her job and signs a contract to do a 3 part movie. She does have secrets but they become harder and harder to hide when she must defend herself after an attack while walking home from work. She does get injured and is bleeding badly. Simon comes to her rescue but discovers she is a fae. Since she is a far her blood is toxic to Simon but he does help her heal. Because she had no choice but to defend herself everyone supernatural knows she exist. She has no choice but to ask for help even if that means bonding with some till one of them dies! She takes the risk and bonds with Adrian who is a werelion ,Simon’s best friend and business partner. Things become more dangerous when she agrees to due a convention for the North American Vampire Association. The contention ends in war and heartbreak but she learns just before going that she is pregnant. Now she has more to fight for besides her own life. She is free again but still in danger and bonds with Simon. How will it end? That is up to you and reading this book! It’s a good read and surprising that the author didn’t leave anything out and made sure that it finishes with enough behind it to keep you from wondering what happened! 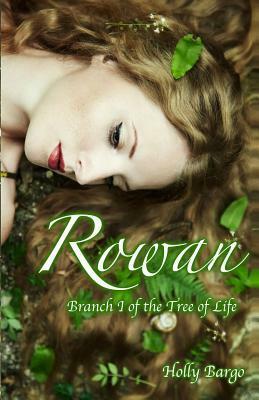 Rowan is a stand alone book but can be part of a series if you read Cassia next by Mrs. Brago! The book is long but worth the time to read it! A reviewer for paranormal romance and authors that rock. I give it 4 fangs….